Not Verified | The Airport is small and thus quick to travel through, other than that I can't say I enjoyed the airport. The only duty free shop charged me more in Turkish Lira than in Euros (about 2 euros more) and even worse the drink machines only accepted Euro coins. Understandably being English I don't carry Euros (especially not coins) to Turkey a country which uses the Turkish Lira. While I understand accepting foreign currencies to overcharge in Lira and fail to sell water in Lira is frankly ridiculous! Also the Burger King I visited at the Terminal had run out of all drinks except Fanta, fortunately they accept Lira and cards. Not Verified | Always book assistance at airports, I have spinal injury and little use of my legs, we got of the bus, made our way to door with wheelchair sign on, to find desk empty, we then went to assistance help desk, which again was empty. We asked the security guard who was sat beside desk, how do we get special assistance, the securtity just pointed to check in desk. So made our way to check in, stuck in queue for over 30 mins, when we got to front, and they realised we needed assistance we were then told to stand aside and help will be with us within 5 mins, I was already in a lot of pain due to standing in queue. Eventually we got a wheelchair, I was then pushed to a cafe and told to stay there, eventually the assistance helper wandered of and appeared back 10 mins later to collect the other special assistants customers, and took them to check in, after half an hour, wife went searching for help, when eventually found some one, was told, we will come back when we have time, your delayed anyway, which was first we knew of, even though we were all on same flight. Eventually my wife pushed me to security check in, while also pushing suitcases, Another wheelchair user told us then we were delayed but we at to go to check in as we were all been searched before flight, so again stuck in a queue for another hour, this delayed our flight for a extra hour, when we were eventually all on the plane, people where complaining as most of them where all sitting apart from there families. The disabled seats we travelled to Antalya, were given to non disabled and tried to sit my wife and I 20 seats apart, but was informed if plane gets into trouble was my wifes job to assist me. It was a shambles from the start, was glad to get to Newcastle airport, wgere the assisrant us amazing, Won't ever use again. 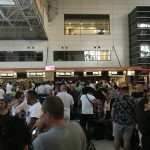 ✅ Trip Verified | After a fantastic holiday & enjoying both the culture & the friendlieness of the locals we were again astounded and very disappointed at the “additional security” checks being made at our boarding gate 207. There are 2 queues where every persons carry on luggage is removed & checked. Each individual is then patted down by non English speaking & extremely rude security staff. We experienced ‘this “additional security” checks when leaving last year. These people need to be brought in line & not just state that these security checks have been requested by your government. Treat us like humans and a bit more respect. Shame on you!! "only 8 seats for a 180 passengers flight"
✅ Trip Verified | Gate 6 that I was bording from has only 8 seats for a 180 passengers flight. It was surrrounded by stores but they could not install some seats. Considering that at some point you have to wait at the gate while standing it's very unpleasant and stupid. I know that they want you to buy their stuff but come on, I'm not always in the mood to do that. If you come from outside the country but you had a transfer you have to walk to an other terminal and wait a long time to pick up your baggage. Lots of useless security checks and rules like car stop on the way to airport, 2 full security screening at airport entrance and before gates, laptop power at each screening. ✅ Trip Verified | After a great holiday in Antalya and Turkey and after experiencing great Turkish hospitality and kindness, it's a shame the last thing you see in Turkey is the rudeness and the barbaric behaviours of the security guys in the airport of Antalya. They spoke only Turkish to the people and scream in a rude way against passengers with no respect to international passengers. Security people of Securitas at Antalya Airport shame on you. 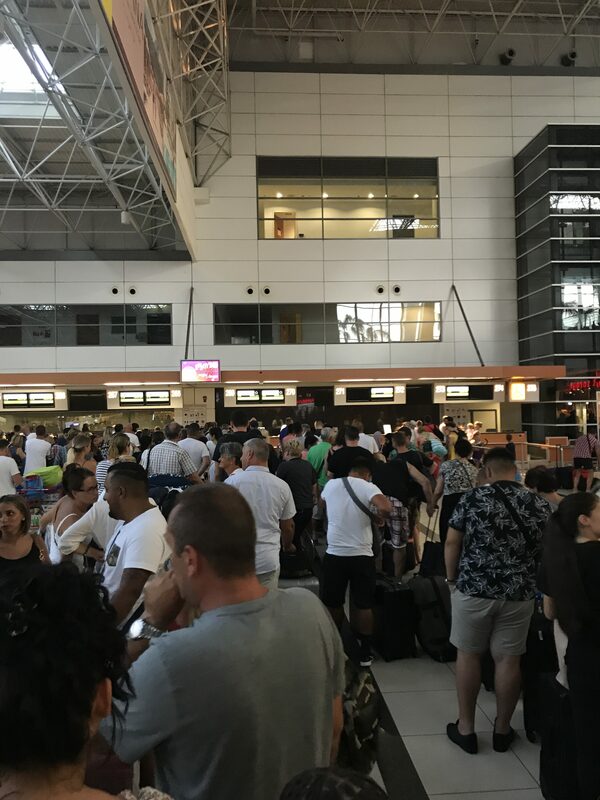 "never get luggage before 30min-40min"
Not Verified | I come to Antalya every year and I never get my luggage before 30min-40min at the belt waiting. It's interesting that the city is a touristic one and luggage service is as such. I know this is for August but many times in less busy months it is the same issue. "It’s basic, no luxury, no services"
✅ Trip Verified | Antalya airport is, after Istanbul the busiest airport in Turkey. Although, it looks and feels like a local general aviation airport. It’s basic, no luxury, no services and with an extremely simple and illogical working style. Queuing is their favorite, extreme long lines and complete random and unnecessary lines waiting untill far outside of the airport. Personnel don’t seem to care, and are handling people as a livestock having to enter a truck for transport to the slaughterhouse. VIP entrance is done via a makeshift back entry together with the catering and security personnel. Antalya airport has 0 extra service besides checkin and customs. No WiFi, extremely crowded, long inefficient lines, and a complete random selection of cafes and restaurants, prices are outrageous. We had to wait in a sort of cafe, (food hall) which was supposed to be an authentical Mediterranean bakery shop, btw: it shared it’s terrace with the Burger King and McDonalds. We ordered 2 coffees and 1 croissant, which was a very average machine coffee with bubbles on top, all together we paid 55 lira (around 14-16$)! I have no idea what ICF is doing with their airport, they’ll have to make big changes to make this airport less a livestock slaughterhouse and maybe more into a 100.000.000 (1 hundrd million) travelers a year airport. Very unhappy about my experience. 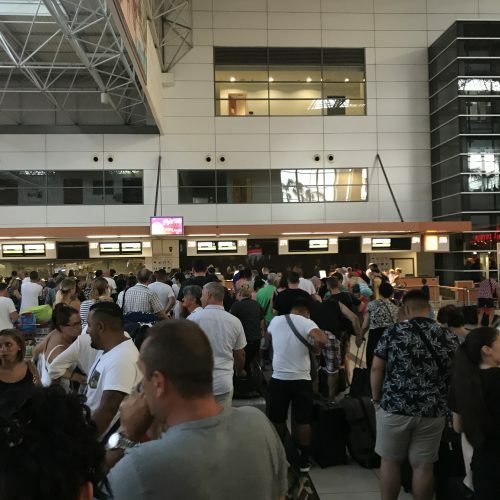 "there is no information available"
✅ Trip Verified | A serious warning to everyone who is arriving to AYT Antalya Airport (operated by ICF Airports) from Istanbul. 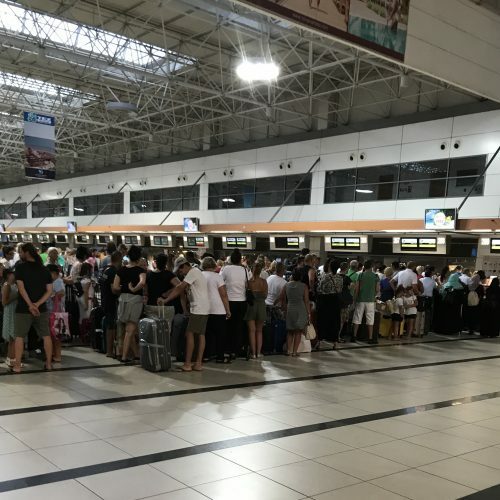 If you have changed the plane from an international connection to a domestic connection (very usual for TK passengers who can check in their baggage to the final destination at the origin departure airport). Your baggage will be delivered straight to the domestic flight at Istanbul Atatürk Airport so it is convenient you don't need to pick up your luggage at IST and check it again at the domestic terminal - as the walking distance between INT and DOM terminal is about 10 minutes. But when you arrive to AYT airport and you are directed to the domestic terminal baggage claim hall you won't find your luggage there! Last time (last month) I finally found my luggage at INT terminal baggage claim hall - and it is in the other terminal, about 3 km from DOM terminal. The only possibly way to reach the the other terminal is to get a taxi. Prepare for another security check before you can enter the terminal and for a passport and a flight ticket/boarding pass check before you can enter the baggage claim hall. For me it took about 20 minutes together for a taxi ride and the formalities before I could reach my luggage. It is unbelievable if you arrive on a DOM flight you have to pick up your luggage at the INT terminal. I've never heard anything this crazy and illogical. And last but not the least, there is no information available about this preposterous handling of luggage before you arrive at AYT airport and finally can find someone to explain to you how and where you might get and find your luggage. ✅ Verified Review | On 12 August 2017 we had our Austrian Airlines flight from Antalya to Vienna at 8.55 pm. Although we did online check-in 24h earlier, we had to wait 1 hour in a long queue because they don't have a counter for baggage drop off. We even came 2.5 hours before the departure time. There was no air conditioning. Staff are indifferent. We even had a delay and were not informed. There is a serious lack of toilets - women had to use men's toilets. Too many passengers for this airport. No free WiFi. What kind of international airport is this?